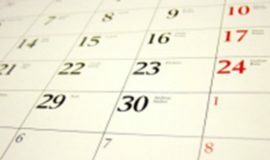 To integrate our calendar with your favourite application please see our calendar subscription guide. Our next (and last) artist is the British sculptor and photographer Andy Goldsworthy, who produces artwork using natural materials. We will meet the Penywern Nursery children at Barkston Gardens for our Easter egg hunt. The outing (morning and afternoon) will take place during school hours. The children will travel by coach to Barkston Gardens. Please do make sure that raincoats are in Nursery, thank you! The morning nursery children will have breakfast together, so the children may bring in a pastry, fruit or treats they would like to eat together (NO NUTS PLEASE). Afternoon children should arrive at the earlier time of 12.00 pm with a packed lunch (NO NUTS PLEASE) so that we can have lunch together in the Nursery. This week we will be talking about our last artist of the term, Andy Goldsworthy, the British sculptor and photographer, who produces artwork using natural materials. For those parents who have not already had a chance to meet with Madame Edwards or Miss Miller in the Spring Term, we have four afternoon sessions for parents' meetings this term. Parents are invited to sign up for a 15 minute meeting with Madame Edwards or Miss Miller on one of the four available afternoons and sign up sheets will be put up by the Nursery front door at the end of the Spring Term. Dogs and cats are welcome in the playground from 8.45 a.m. to 9.00 a.m. Caged animals should be taken up to the Big Room and may stay all day. Children may come to school dressed in an animal costume/mask. If it is very hot, children may change into their P.E. kit in school. Afternoon Nursery children are welcome to join us in the morning for the animal parade in the playground or else just come to Nursery dressed up as an animal in the afternoon. 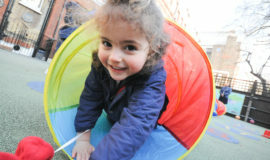 Parents or nannies are invited to Nursery at 11.00am to say goodbye. 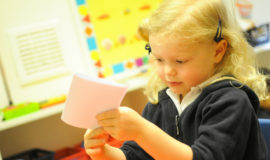 Parents or nannies are invited to Nursery at 3.00pm to say goodbye. Parents are welcome to come to our open day when the children will be able to show their art and their work along with their classrooms. Parents and/or carers may take their children home as soon as they have finished. 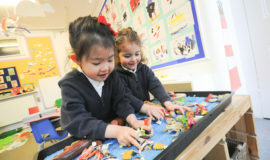 Children should still come to Nursery at 8.30am as normal before the open morning starts. Parents are welcome to come to our open afternoon when the children will be able to show their art and their work along with their classrooms. Parents and/or carers may take their children home as soon as they have finished. 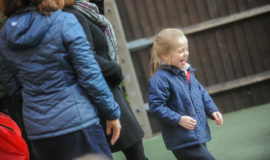 The children should come to Nursery as normal at 12.30pm before the open afternoon starts.